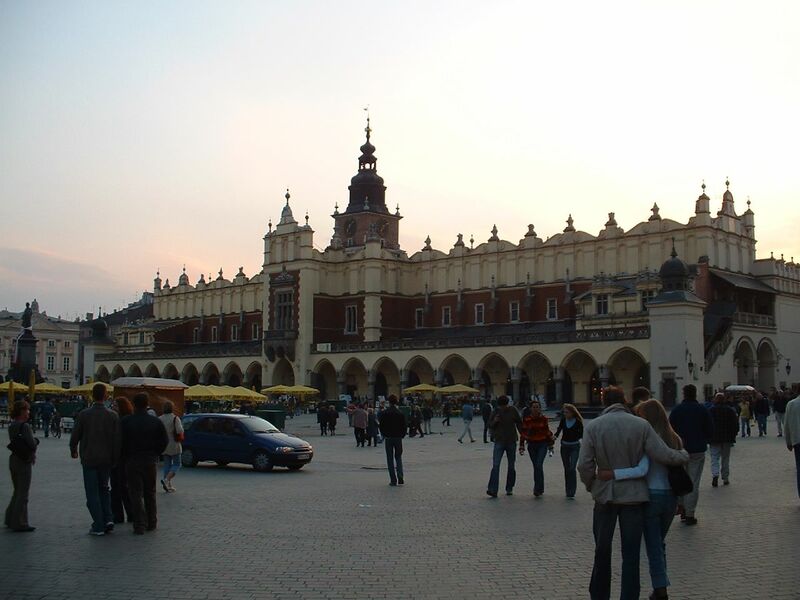 To celebrate Thoridor’s 15th anniversary, we visited the beautiful city of Cracovia, Poland, in April 2005. Just as in 2000, when we visited Istanbul, about 90% of Thoridor’s Magni’s and Eli-Magni’s went on this little trip filled with culture, entertainment, historical awareness and of course the usual shenanigans and tomfoolery at the local bars and clubs. Read on to get an idea on how we spend our time in this magnificent city, we recommend it to all. After checking into our luxury youth hostel, we had to find food, drink and entertainment. In a town like Cracovia this is not a hard task to accomplish, as it is known for its highest concentration of bars and restaurants per square kilometer in the world. The group split up and, after a few drinks and diner, I was part of a smaller group looking for a place to spend the rest of the night. After asking some of the local students we met on the street, we went on to, what was described to us as the best club in town, Prozak. That particular night they had a theme party ‘Miami Beach’ and within two hours most of Thoridor found its way to this club. It would also prove to be our main hangout for the Saturday night. Pictures of the Friday night can be found at this polish site dedicated to the Cracovian nightlife. After a good nights rest it was time to start exploring the city. At 09:00 the people awake 😉 split up in two groups to enjoy a guided tour of the city. Places like Wawel hill, the remains of the fortification of the old city and the lavish church were visited. There are lots of stories and backgrounds to tell here, but I refer you to the tourist websites etc. Some pictures can be found in the Gallery. After this educational walk everyone converged on the main square (only outdone by Piazza San Marco in Venice, Italy!) to pick a terrace for our Althing. When we finally decided on one terrace it quickly turned out we had chosen the one terrace that was not too happy about our numbers. Luckily lots of us work in Communication, Consultancy and Sales and things were smoothed over in the end. After a relatively quick annual meeting small groups were formed to look for souvenirs, sit in the sun and enjoy a drink and find diner. Saturday night (and Sunday morning for some) was spent by most at Prozak, where DJ Stuart Wilkinson and DJ Hypno were spinning the wheels. This turned out to be the best night of the trip for most (at least for me) as the music, the people and the atmosphere all were perfect. Some of us were sorry to leave, when the club evantually closed early Sunday morning. A very different day was ahead of us. Some of you may have only read/heard about Auschwitz/Birkenau (on the UNESCO world heritage list), some of you may have seen the footage of its liberation, some of you may have even been there. That last description now fits me, and I was nowhere near prepared for what I was about to see and hear. 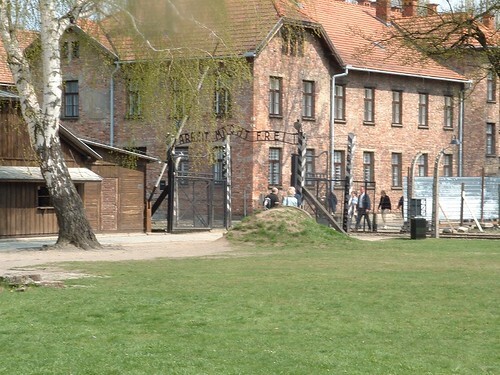 I will not repeat all the facts most of us already know in this story, but would like to encourage you all to at least look at some of the pictures in the Gallery and visit the camps yourselves when you get the chance. After raising our historical awareness, we went to diner as a group to lighten the mood at a restaurant called roosters (sounds like hooters). I wouldn’t call it a complete antidote, but it did help. I myself actually finished the day at 01:00 after having a few drinks in one of the more relaxed bars the local student population like to frequent (I think it was called Kredens). Our final day in Cracovia started with a late breakfast (as usual) at the hostel. Normally, breakfast was served between 08:30 and 09:00, for us they served it between 10:00 and 12:00 or somewhere thereabouts. A visit to the Wieliczka Salt Mine (also on the UNESCO world heritage list) was on the schedule, the largest and oldest remaining Salt Mine in Europe (over 200km of corridors connecting over 2040 small and very, very large rooms, ranging in depth from 64 to 327 meters underground. As a tourist you get to walk around 2km through the corridors and rooms on level 1 through 3 at a depth ranging from 64 to 130 meters. There you encounter rooms decorated by statues and other decorations made out of salt. Actually all you can see is made out of salt and you are encouraged to lick everything (except for the statues, floor, tour guides and toilets). 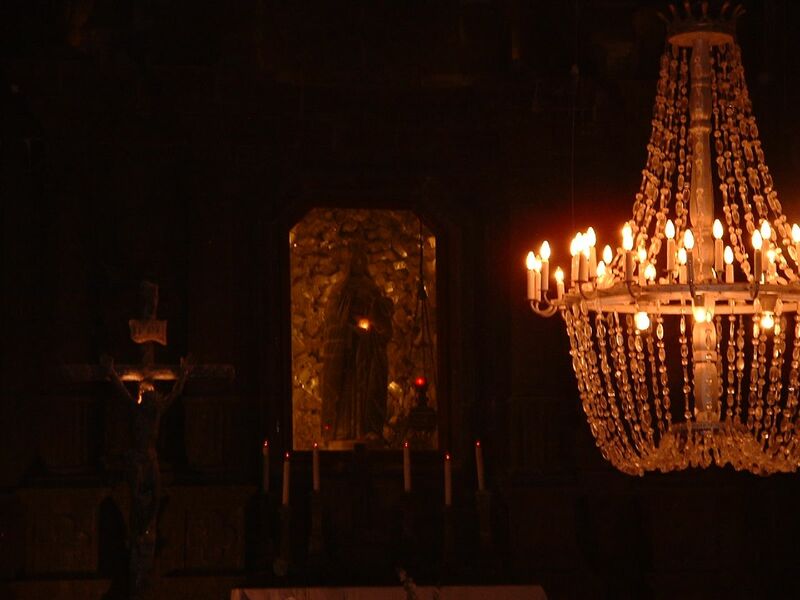 To be honest, it was quite impressive, especially the enormous chapel at about 100 meters underground. Pictures in the Gallery. The final night was spend looking for a place to eat and drink, irritating other Dutch tourists, ending up in the casino near the hostel to kill time until the bus ride to the airport at 04:00. We finally landed at Schiphol airport the following morning and if I recall correctly I touched down in my bed at around 11:00. Luckily I had around 20 hours to recuperate before I had to get back to work ? We had an incredible time in Cracovia and met a lot of very nice people. I know this little story doesn’t give you a clear picture of this beautiful city so I encourage you to talk to travel agents, surf the internet etc, etc. It’s definitely worth a visit (or two, or three…)!